Finally sorted out the pics that I took towards the end of last semester. I brought my camera almost all the time coz I wanted to keep more memories of my life here. I think every exchange student share this same experience, we tend to appreciate what we have now more coz we know that we're losing them soon. The cafeteria...this is the place where most of us sponsored students had our meals...lunch & dinner...for the past 9 months. Even though the food here is not super yummy, we still come here coz we don't have to pay for food here...muahaha...itz all covered under the meal plan sponsored by our program! All we need to do was to swipe our Charger Card each time we come here....ain't that cool!! 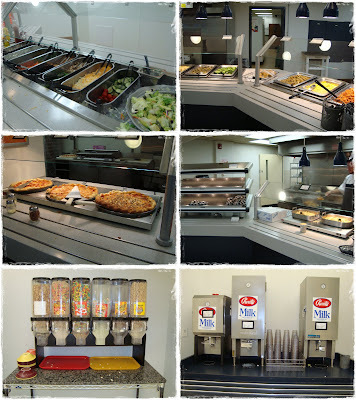 One thing good is that itz all buffet style...that means....'all you can eat'...every meals!!! I guess that's why most people gain weight within these 9 months...luckily I still managed to maintain my weight...hehe!! 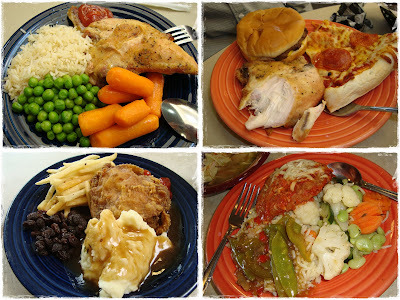 We had the chance to eat 'American' food everyday...pizza, hamburger, fries, salad, entrees, desserts...hmm...sounds 'fattening' huh!! Plus...we had 'bottomless' soft drinks, sweet tea, juice, milk & choc milk!! Haha...living up to the title...Alabama...the 2nd fattest state in the US...woohoo~!!! Most of us 'Asians' don't really like the food here coz we wanted....RICE!! 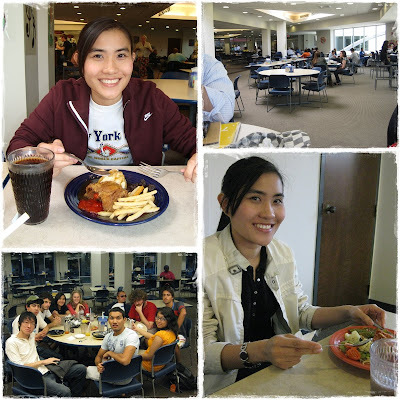 One of my friend, Htet from Myanmar actually lost weight coming here coz she preferred instant noodles than the cafeteria food. As for me, I'm not particular about food...I have no complains as long as I don't starve. 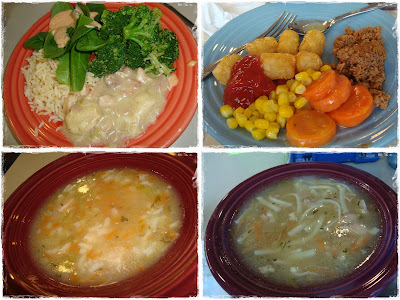 From these pics, they don't look that yummy but itz pretty good...juz that I mixed everything together in a plate. 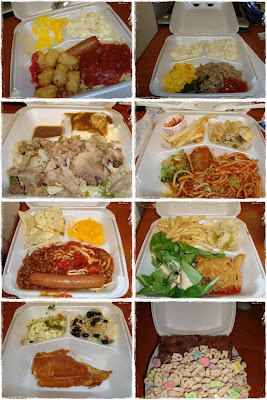 I didn't eat hamburger, pizza & fries coz I don't wanna come back becoming 'fei po'...haha! !